Cooking outside is the ultimate way to entertain in warmer weather. Not only does it set the atmosphere, it keeps the kitchen clean and you more relaxed at the end of the day! If there are kids at the party they can roam outdoors, leaving you free to cook up a feast while socialising with mates. 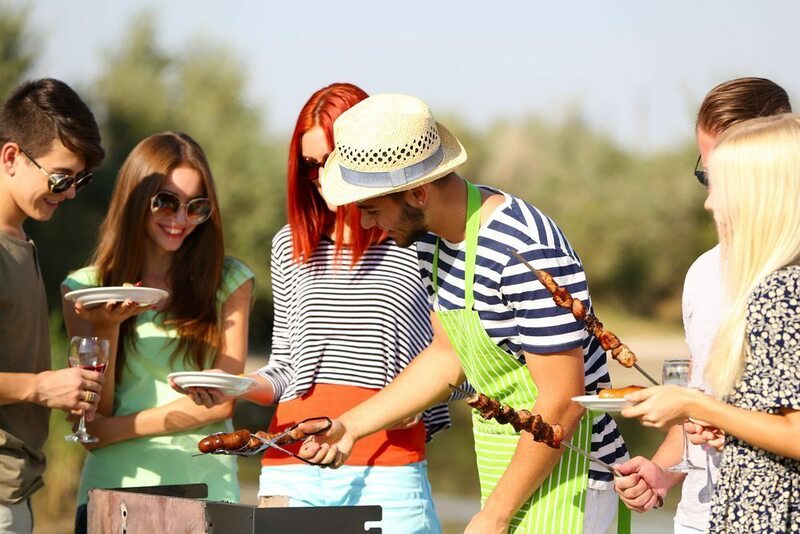 An awesome BBQ is a must have when cooking outdoors, but there are so many other cool ways to wow your friends and family outdoors with delectable food. Why not bring your friends over for an awesome pizza party? The best thing about outdoor pizza ovens is that your guests will have a ball making their own pizza toppings. There’s always a bit of a thrill getting it out of the oven when it’s ready and they taste delicious. If you’re after a long and slow cooking process that injects an amazing amount of flavour into your meat, then a meat smoker is for you. Pop it on first thing in the morning and have your friends arrive later in the day to see the meat smoker in action just before your beautifully smoked lamb, beef, fish or other meat is served. Some meat smokers can also be a combination BBQ and Pizza Oven so you can have everything you want in one cool product! Speaking of combination products, there are some very cool ways to cook outside with a combination grill. The Saffire Grill, in particular, can grill, bake and smoke! If you want to wow your friends and literally do all your cooking outside, then the Saffire Grill is a great investment. Love the smell and smoky taste of BBQ meat that is cooked with the old coals heating underneath? You don’t need to do that in an unevenly heated BBQ or barrel these days. Pit Barrels allow for the heating of meat to take place from all angles, evenly. You’ll also still get the beautiful smell and taste of meat that’s been exposed to coals but without the uneven cooking that often happens without modern technology to save you. Hang your meat on the hooks in a Pit Barrel and let them be infused with flavour and moisture for you to enjoy! In all honesty, there’s no cooler way to cook outside than in your own custom outdoor kitchen. Don your apron and wow your friends with your favourite cooking gadgets and products integrated into your dream outdoor kitchen. With so many products available to cook outdoors, it can be hard to decide what you want and need! To learn more about cool ways to cook outside, contact the team at Heat & Grill. With a wide range of barbeques, smokers, grills and more we can make your outside entertaining and cook amazing! Talk to us today.